Bernhard’s pitch: LUS is fine. We can make it better. There’s $140 million in cash and $184 million in debt relief on the table, plus $920 million in continued in-lieu-of-tax (ILOT) payments and $64 million in conditional payouts. Total compensation here is $1.3 billion. LUS employees would remain in civil service. NextGEN intends to headquarter its operations here and grow it to run 50 utilities. Lafayette would be the first. Jim Bernhard was born in Lafayette and used to eat at Judice Inn. Cleco, Slemco and Entergy are sniffing around now. NextGEN thinks LUS is reliable and affordable but stuck in the 20th century. ▸ Stuck in the 20th century? Is that right? Sure. The critique that LUS is slow to adopt innovation and is handcuffed to aging power generation is not new. In fact, some local electrical nerds (I say that with both love and self-loathing) —Lafayette’s Electrical Discussion, well worth the Facebook follow — last year circulated its “State of LUS” with many similar findings. I’ve actually reported on this a little myself. LUS was nearly burned in the last decade on decisions to reinvest in a coal plant the utility co-owns with Cleco. Cleco runs the plant on LUS’s behalf, even though it’s a minority owner. Jim Bernhard, the BCP principal, hammered the point that LUS already contracts out for the bulk of its power generation, which is certainly true. In doing so, he implied Lafayette precariously lacks local generation capacity. Yes, only 40 percent of power used by LUS customers comes from generation that LUS owns, and virtually all of that comes from LUS’s coal plant. But to be clear, LUS owns plants capable of generating most of its peak demand should the need arise, like a hurricane. The plants are just so old and inefficient that they generally aren’t called upon to be used. Instead, LUS buys most of its generation very cheaply at market, the result of a strategic decision made in 2013. In its defense, LUS upped its renewable portfolio this year through a purchase agreement to buy wind energy from the Midwest. The utility has installed smart meters, which Bernhard’s team say are underutilized, and has pursued plans to build new natural gas generation, although Bernhard and others say the type of plant considered is too expensive and outdated. There’s a legitimate policy debate to be had about LUS’s approach to new technology. LUS could become a “utility of the future,” to borrow NextGEN’s buzz phrase, but the bigger question is whether LUS needs NextGEN to get there. ▸ Gee, $1.3 billion seems like ILOT of money. It is! But there’s some contention here. Most of the $1.3 billion (71 percent!) is achieved by $920 million in ILOT payments, which LUS already pays to make up for the fact that it doesn’t pay taxes. NextGEN projects its ILOT substitute willl average $23 million per year over the contract’s lifetime. That’s about what the ILOT currently pays. But some argue LUS’s ILOT payments would outgrow the projected average offered by NextGEN, even as utility revenue has more or less flatlined in the last few years. It’s unclear how NextGEN would calculate the payments year-to-year. Even if NextGEN’s version of the ILOT grows, however, it’s hard to call it a net gain. It’s probably best to think of this as a $324 million deal — the cash payment ($140 million) plus the debt relief ($184 million). ▸ NextGEN may need us more than we need NextGEN. Even presenting a management team in place with extensive experience, Bernhard acknowledged that Lafayette would be the first utility managed by NextGEN on its quest to Fortune 500 status and acquisition of 50 utilities. Julius Bedford, an associate with Bernhard Capital Partners, marveled at LUS’s customer service reputation, workforce and revenue stability. “It’s not every day that you come across an asset or company like LUS,”he said. An investor-backed startup like NextGEN needs a win to signal to investors and other utilities that its model works. That means Mayor-President Joel Robideaux ought to have a lot of leverage to negotiate better terms if he chooses to go forward with the proposal. ▸ What to watch for. Whether and how this progresses. 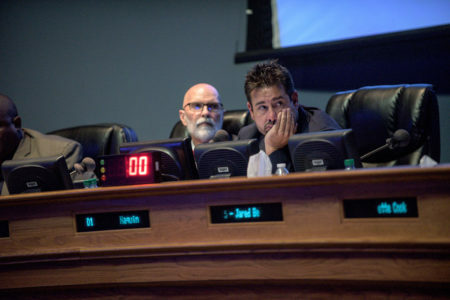 The council sent a clear signal on Tuesday that it won’t take the initiative on Bernhard’s bid to run LUS, although NextGEN will reprise its performance at an Oct. 16 council meeting. The ball appears be in Robideaux’s court if he wants to get a deal done. The next step would be a contract brought to the City-Parish Council in the form of an ordinance. But bear in mind there are now other interested parties. 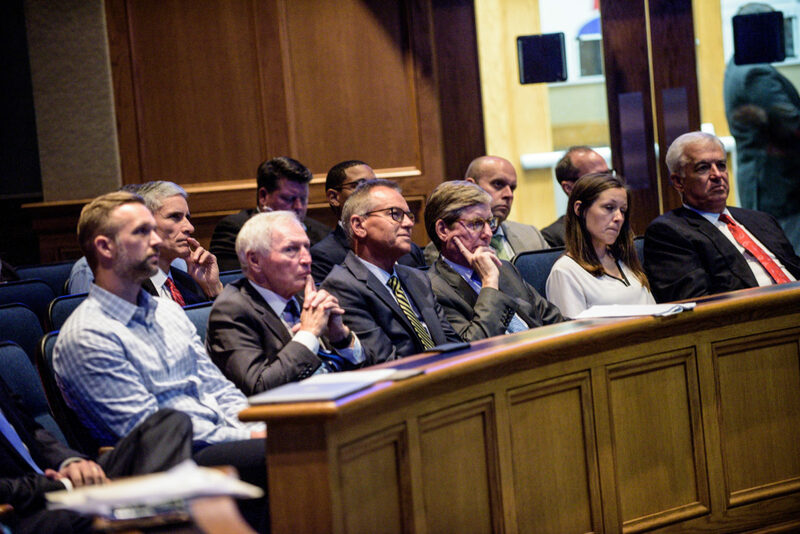 Representatives from Cleco, Entergy and Slemco were in attendance, and Entergy reps confirmed they want a shot at the action. 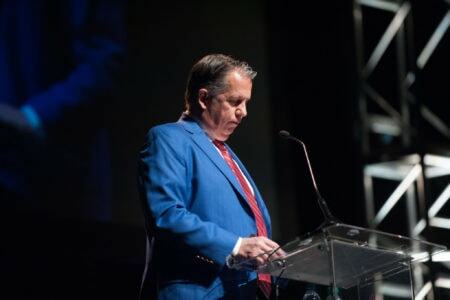 Both Cleco and Entergy have broached the topic with Robideaux before, though he says they pursued full buyouts of LUS, not management agreements. 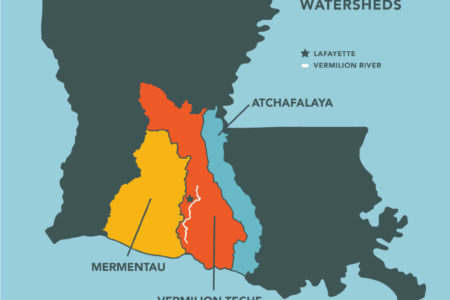 The Louisiana Watershed Flood Center and a proposed regional flood monitoring network are positioned to plug a huge gap in Acadiana's ability to understand how we flood and how to effectively plan for and respond to floods.